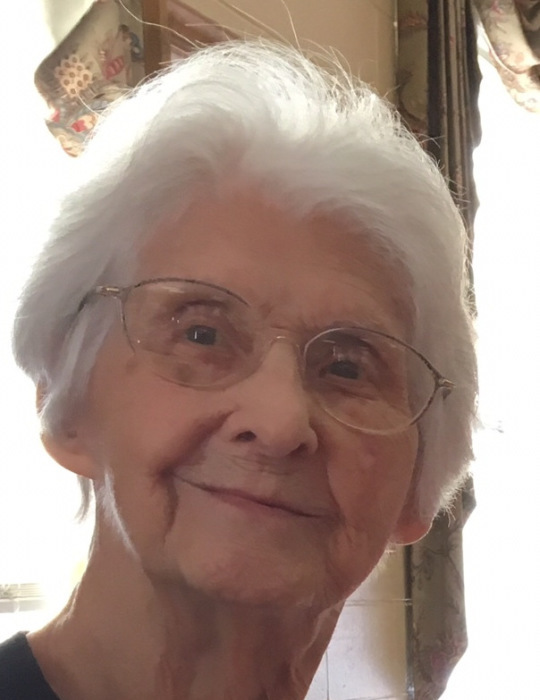 Margaret Horton Upton, age 92 of the Sunshine Community died Tuesday, January 29, 2019 at White Oak Manor in Rutherfordton. Margaret was born August 27, 1926 in Rutherford County and was a daughter of the late Clyde P. Horton, Sr., and Sarah Ellis Greene Horton. She was retired from Scott Vending Company and was a member of Cedar Grove United Methodist Church. Margaret graduated from Sunshine High School in the Class of 1943. In addition to her parents, she was preceded in death by her husband, Coy Upton, her daughter, Donnis Upton Philbeck, brothers, C. P. Horton, Jr. Howard Horton, Carl (Bo) Horton and Charles (Wink) Horton. Survivors include her daughters, Sandra Upton Marlow and husband Jerry of Waco, NC, Freida Upton Phillips and husband Norris of Forest City, a brother, Robert Horton and wife Tammy of Sunshine, sisters, Grace Newton of Andrews, NC, and Martha Buchanan and husband Bob of Shelby. There are also five grandchildren, Bryan Philbeck and wife Carol, Kyle Walker, Myra Lattimore and husband Todd, Sara Gooch and husband Brian, Simon Phillips and wife Angie; great-grandchildren, Preston Philbeck, Makenzie Buchanan and husband Kyle, Nathan Philbeck, Landon Gooch, Leah Gooch, Logan Gooch, Walker Lattimore, Nguyen Walker; Rebecca Tuttle, Laura Ryan, Jordan Lattimore, Harley Lattimore, and Matthew Lattimore and four great-great-grandchildren. The funeral service will be held at two o'clock Friday, February 1, 2019 in the Cedar Grove United Methodist Church with Reverend Greg Dickens officiating. Interment will follow in the church cemetery. The family will receive friends in the church fellowship hall from 12:30 until 1:45 Friday prior to the service. The family will be at the home of a granddaughter, Myra Lattimore, Walker Dairy Road, Bostic. Memorials may be made to Cedar Grove United Methodist Church Cemetery Fund, 388 Brooks Road, Road, Bostic, North Carolina 28018.